Make your life easier with these 10 kitchen cleaning hacks! These natural solutions will transform your routine – you’ll wish you knew them sooner. Cleaning isn’t my favorite thing in the whole world, but I’ve gotten better about it as I’ve gotten older, and since I recently bought a new house. I love coming home to a clean home, especially my kitchen. Did you know that one of the dirtiest places in a house is the kitchen – maybe even more so than the bathroom?? But cleaning the kitchen – especially if your kitchen is large – can seem like a daunting task. That’s why I put together this list. 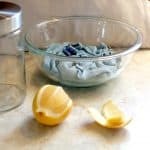 They are kitchen cleaning hacks for lazy people such as myself. Okay, I’m not really lazy, but you know what I mean! These cleaning hacks are really easy to do, and you probably have the materials to do them already. One last thing I had to mention is that I get headaches with a lot of chemicals, so natural is better for me. That’s where these kitchen cleaning hacks come in handy! They are natural solutions. 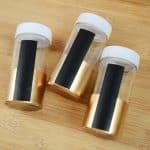 There is a cleaning hack in here that uses bleach, which doesn’t seem to bother me. However, I know it’s toxic and some people don’t like using it so for that tip I also provided an alternative. When it comes down to it, there’s nothing like cooking in a really clean kitchen! Read on to get my amazing tips! 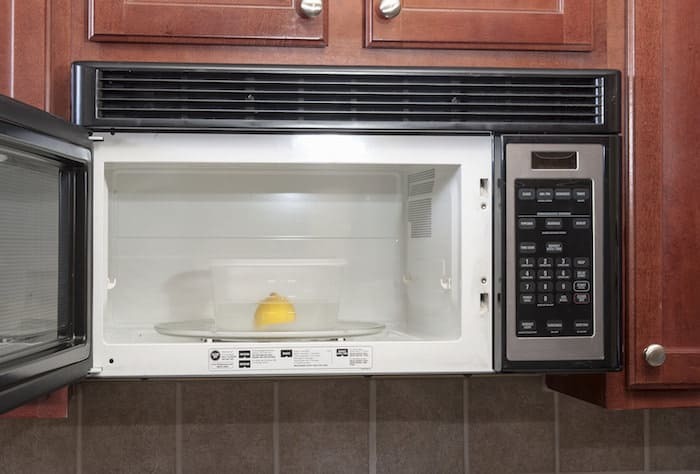 Cleaning the microwave is one of my least favorite things. Make it easier by boiling water in a container with lemon first – it will loosen up the grossness and allow you to easily clean it up. 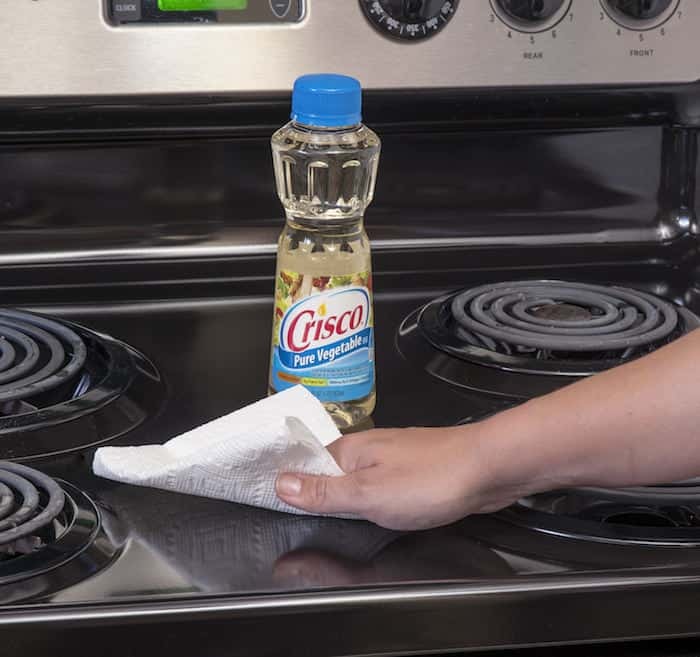 If your stove has a few oily spots that won’t seem to go away easily, put drops of vegetable oil on a paper towel and wipe them away, then clean as normal. 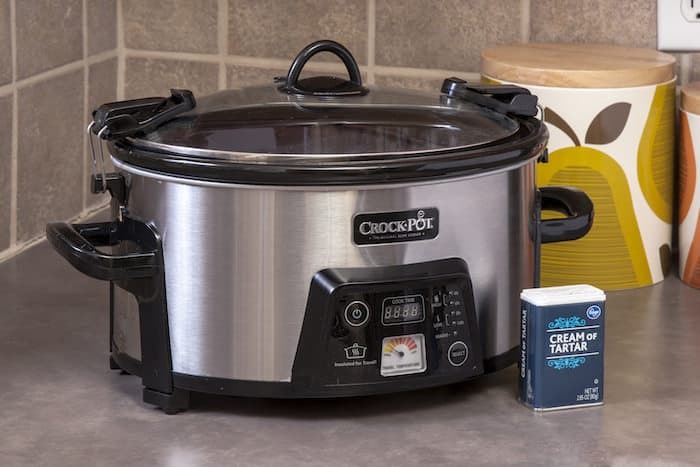 My stainless gets fingerprints and oil on it quickly, so keep it shiny by buffing it up with some cream of tartar (a damp soft cloth is preferable for application). Every once in awhile you do need to give your dishwasher a good rinse. 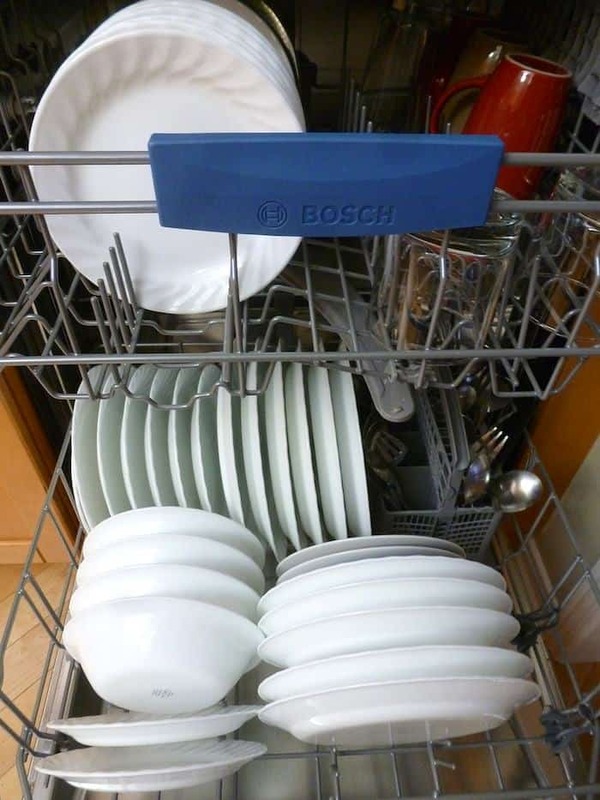 Run on a hot cycle with a container of white vinegar in the top rack, then run again with baking soda in the bottom (short cycle the second time). 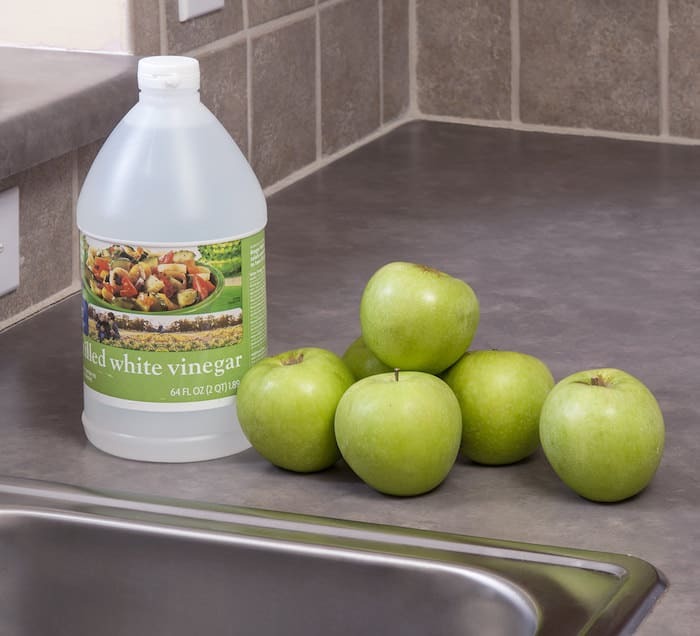 Tip: the vinegar gets rid of hard water spots – which, we have a serious issue with that around here! For pans with scorch marks at the bottom, fill with water and add a cup of white vinegar. Simmer, then add 2 tablespoons of baking soda and remove from the stove. Let cool, pour out some of the solution, scrub, and repeat. My sponges get grimy, and I’m sure yours do too. 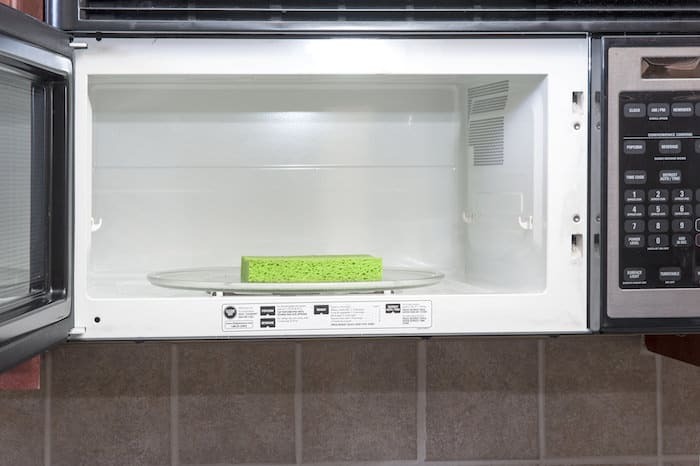 It’s easy to sanitize them by microwaving them for about 60 seconds (make sure they are wet). No need to buy fruit wash! Clean fruit in the sink by filling it up with warm water and adding 1/2 cup white vinegar. Let it soak and then rinse before eating. Fill a bowl with a 1/2 cup of ammonia and put it in an oven with the door closed. The ammonia fumes will loosen the grime and make it easier to clean. 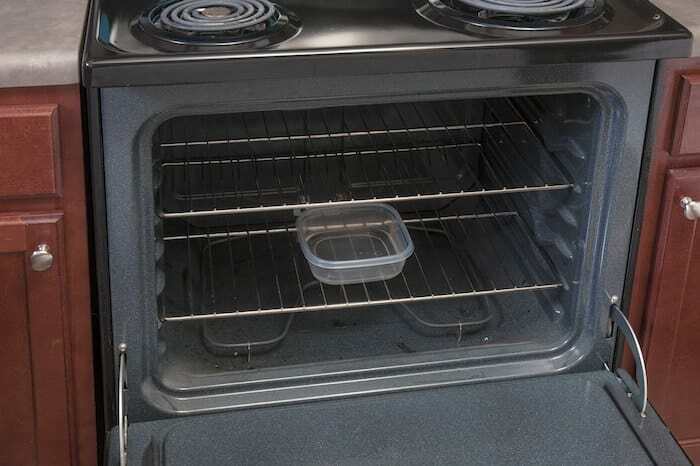 How do you clean glass bakeware, especially with baked on grime? 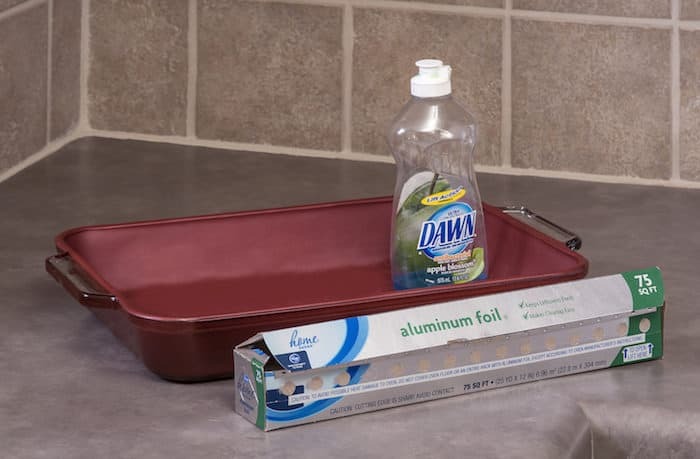 Use dishwashing soap and add water; then ball up some aluminum foil and use it to scrub away any residue. 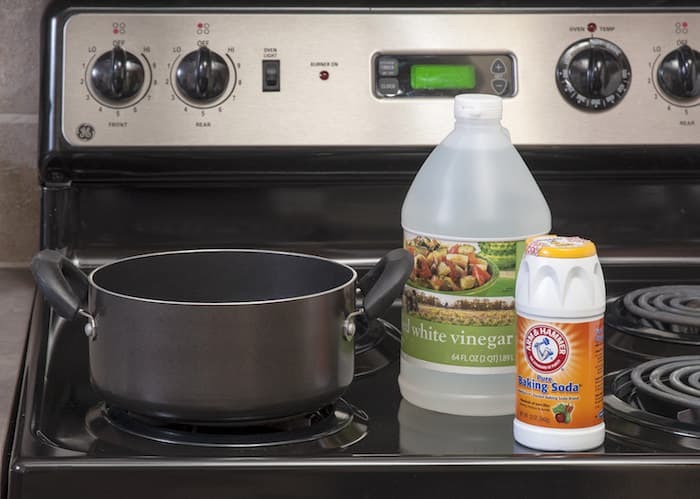 Soak your cutting boards in a solution of one part bleach to three parts water to clean them. 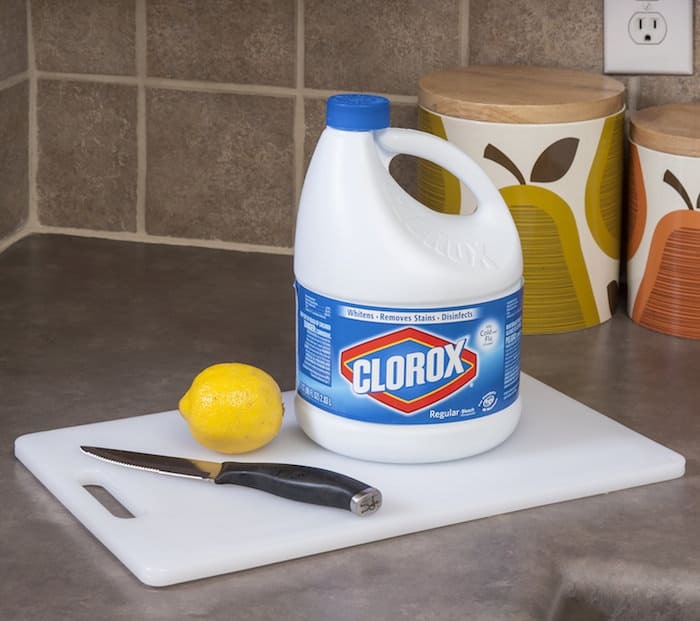 For tough stains, cut a lemon in half, add baking soda to the top of the cutting board and scrub. Tip: if bleach irritates your skin or you want to avoid it, this DIY natural bleach alternative will be a good solution for you. 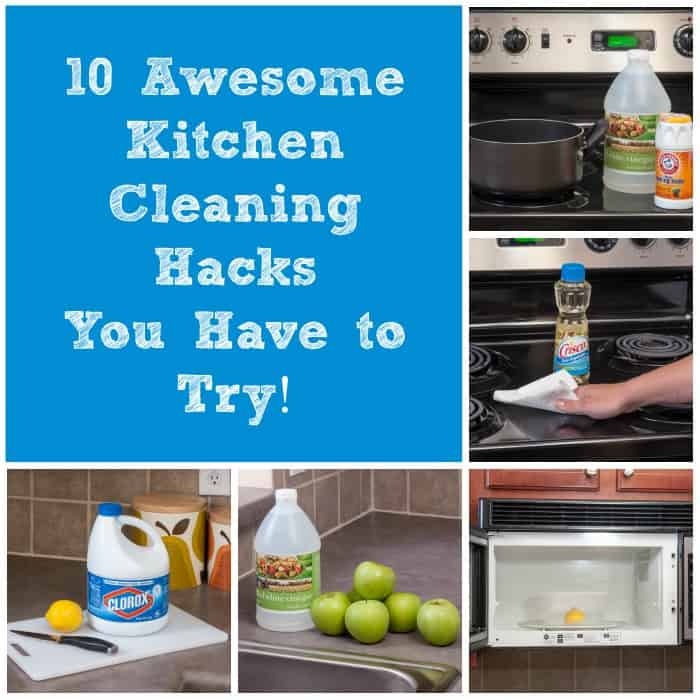 Do you have any other kitchen cleaning hacks you’d like to share with me? I’d love to hear them in the comments!